FOR ALL THE LATEST TRAINING INFORMATION LOG ON TO OUR FACEBOOK PAGE. 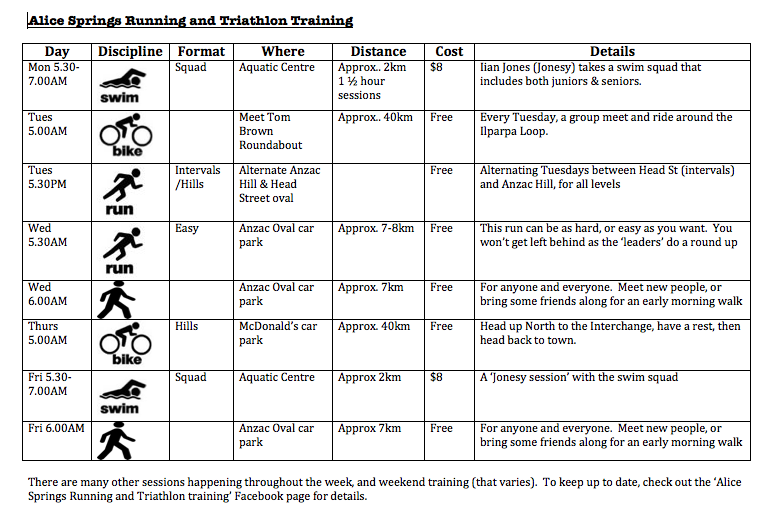 TRAINING NOTE: The latest club training session information, as well as member training sessions, can be found on the “Alice Springs Running and Triathlon Page” Facebook. All are welcome! Come out and train with the club! Additional training tips and insights - from a professional triathlete - can be found on the Triathlon Australia webpage.